Forty six days after announcing his international retirement in the immediate aftermath of missing a penalty in Argentina’s shootout loss to Chile in the Copa American Centenario final, he has triumphantly declared his return, having missed exactly zero international matches. Whether he’s able to adjust to this new world he returns to after his absence remains to be seen. 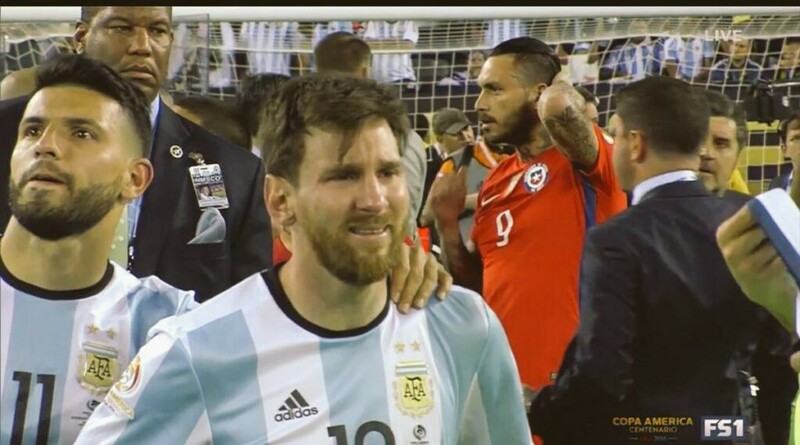 After all, Messi himself has changed some over his month and a half of international retirement, too. Look at that. His hair turned completely white, he appears to have adopted a pet dinosaur, and those flip-flops might be new, too. When he finally gets back into Argentina’s dressing room, Messi will probably have to reintroduce himself to his younger teammates. And work on his penalties. With this retirement business now out of his system, we can only hope that he never retires again. Well, we can also hope that he lets his hair go back to its normal color.